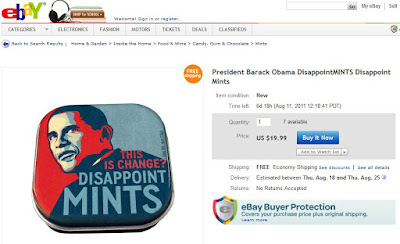 Conservative Hangout: UT Bookstore Pulls Mints Mocking Obama - "DisappointMints"
UT Bookstore Pulls Mints Mocking Obama - "DisappointMints"
A University of Tennessee bookstore has pulled the Obama-mocking mints after a state legislator complained. You can read the whole story from TheBlaze.com here. 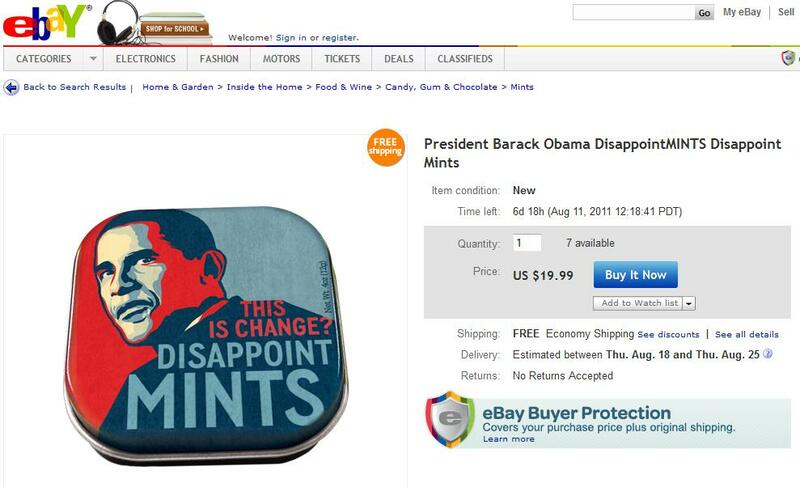 However, you may still purchase the "Disappoint Mints" on eBay for $19.99 (FREE shipping). Hurry, there's only 7 left. Here's the eBay listing.